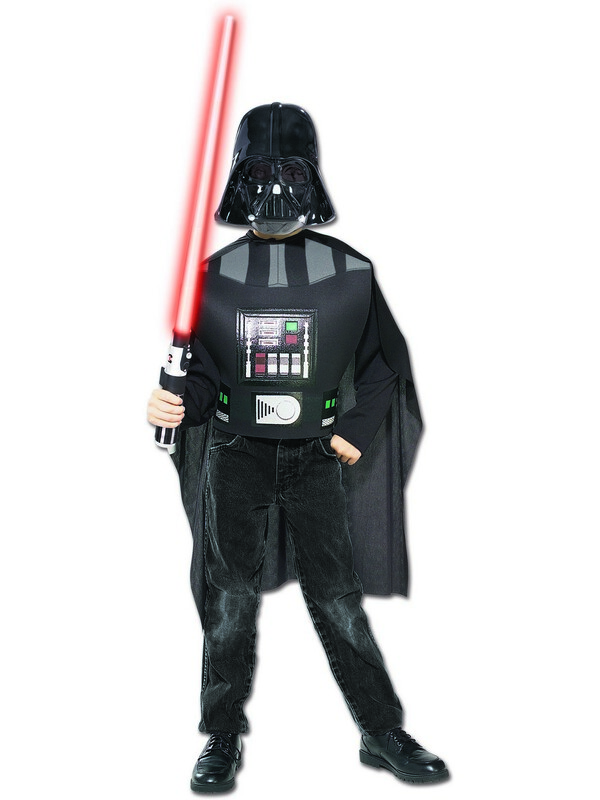 Become the ultimate Star Wars villain this Halloween when you buy the Child Darth Vader Box Set! With your purchase, you will receive Darth Vader's spooky black mask, a dark black cape, a printed chest piece, and of course, Vader's special red light saber! Team up with some other Star Wars friends from the Dark Side this Halloween - Darth Maul, Stormtroopers, Kylo Ren, Emperor Palpatine - and you'll have a blast. 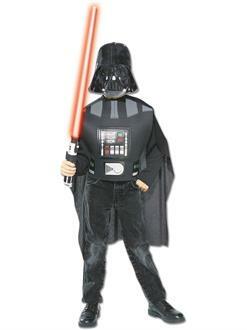 Buy your kit today, and go make this Halloween a real victory for the Dark Side!